In november 2014, the 31 day nail polish challenge 2014 took up most of my nail art-time. 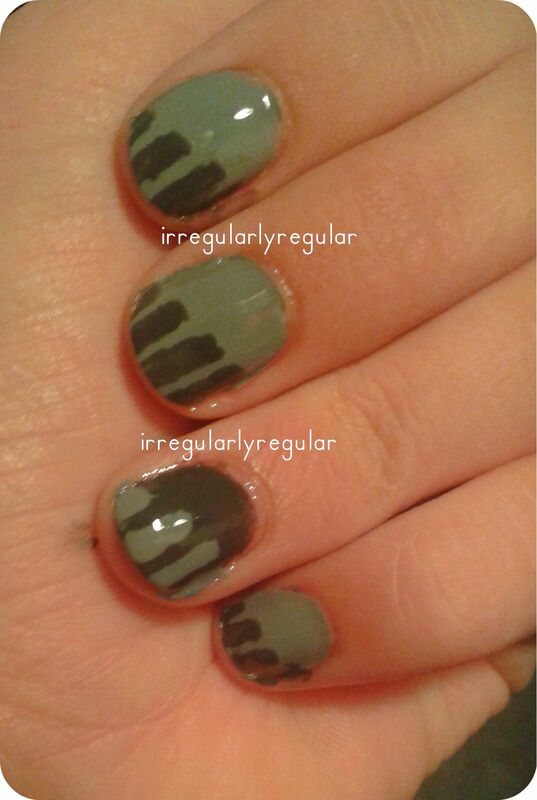 For day 12 I attempted a manicure with stripes, but since I didn’t have any striping tape at that time, I had to free-hand the stripes, which made the whole thing a little messy. It’s always bothered me, because I really like the idea and the color combination. 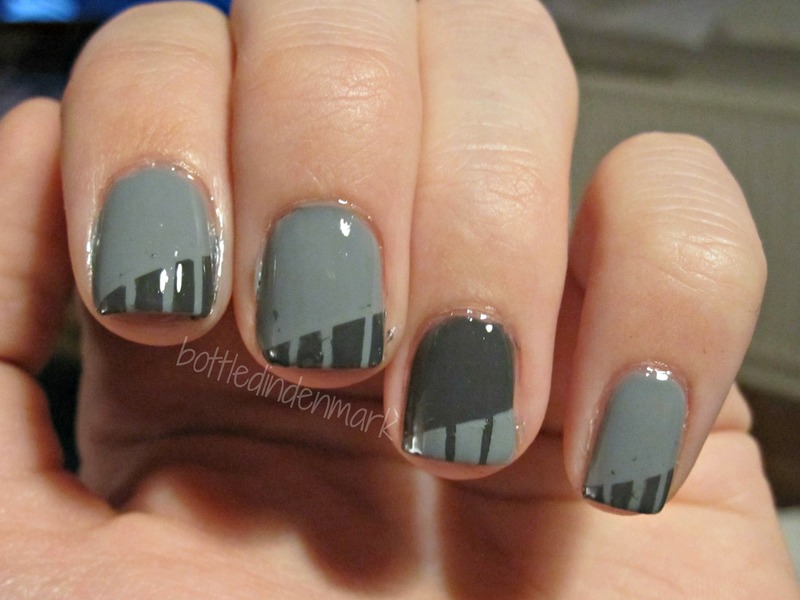 That makes this manicure a perfect contender for my recreation-series! Have you ever been in the situation where you don’t calculate enough time to do your nail art, so you run out of time and have to leave the house with only half of it done? I have 😉 Oh well..
Look how clean and straight the edges are! Striping tape really makes a HUGE difference! With the lighting in the first picture, it is hard to believe that I used the same polishes, but I did. 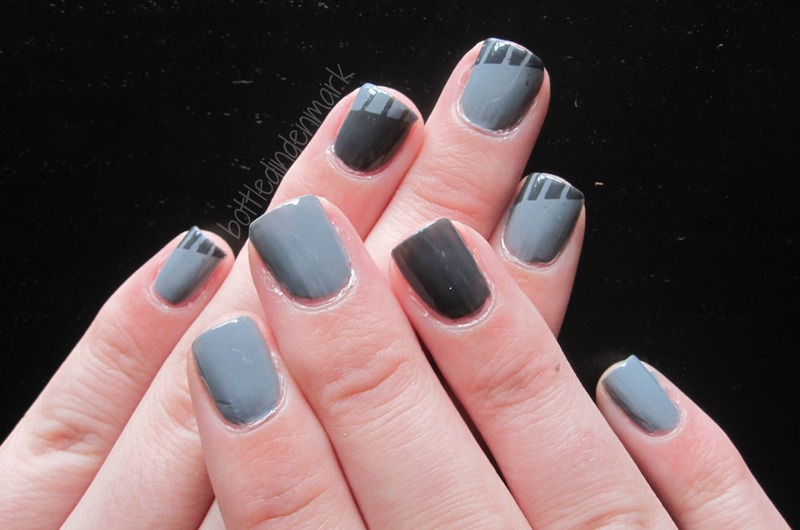 Pieces – Granit and L’Oreal – 406. What a beautiful blog! ♥ definitely subscribing and coming back!